We are really excited to be carrying the latest line of Serta iComfort Hybrid mattresses at Sleep Pittsburgh. The iComfort Hybrids have always been one of our top selling mattresses. 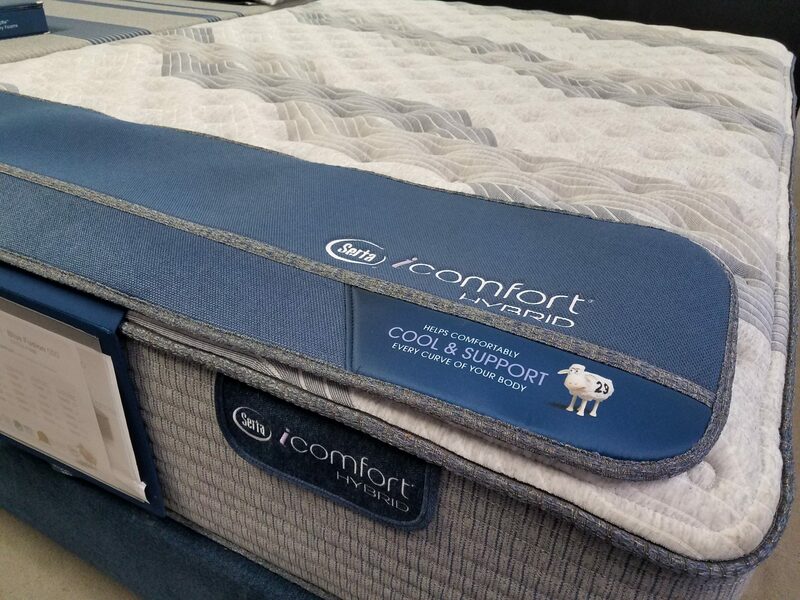 Why is the iComfort Hybrid so popular with our customers? It’s the only mattress that combines cooling memory foams of their iComfort sleep system with their newest and most advanced coil support system. That means you get cooling, comfort, and support—all from one mattress. What we really like most about the new Serta iComfort mattresses is the superior comfort, support and durability. Serta customers agree. DS Earl., Customer Review from Serta.com. Stop by our mattress showroom today or call 412-462-7858 to learn more about the new Serta iComfort Hybrid mattress collection and why our customers rate it so highly. We’re just one block from The Waterfront. You might want to bring an extra pillow.